The European palate may not always have been so sophisticated. This week, researchers report the first evidence of ancient Europeans snacking on rodents at least 5,000 years ago. 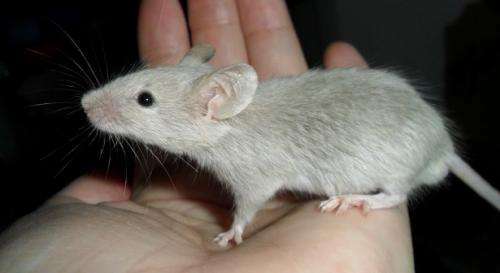 The discovery suggests that rodents such as mice and voles have not always been mere pests hellbent on annoying humanity throughout its history: They may have been a food source as well. "Rodents are frequently excavated from older archaeological sites in Europe, but people haven't examined why they are there," said Jeremy Herman, a biologist at the National Museums of Scotland in Edinburgh. "Maybe because they are not currently a food source in Europe, no one ever thought to ask if they had been in the past." The new finding, reported Tuesday in the journal Royal Society Open Science, was made after researchers sifted through nearly 60,000 small mammal bones collected at the Skara Brae settlement on the largest island of the Orknay archipelago in Scotland. Skara Brae consists of the remnants of eight stone houses and was occupied in the latter half of the Stone Age from roughly 3180 B.C. to 2500 B.C., according to radiocarbon dating. Archaeologists pulled more than 2.5 pounds of micro mammal bones out of four different trenches dug at and near the site in the 1970s. The bones were bagged based on which trench they came from and also what strata or time period they represented. Herman, the senior author on the study, said all told there were enough bones to fill a cereal box. Previous studies have shown that there were just two types of rodents living among the people of Skara Brae - the wood mouse and the Orkney vole, a form of the common European vole. However, until now, nobody had studied how these rodent populations interacted with humans. After re-examining the bones, the authors found the number of mouse bones was equal across all four trenches. However, the trench in one building had a greater accumulation of vole bones than the other three trenches. This suggests that the voles, who generally live in the fields and stay away from human homes, had been brought there deliberately by people, the authors said. In addition, the research team found burn marks on several of the bones, suggesting the animals had been roasted. "The way they are burnt it's pretty clear that they were pretty much whole when they were stuck on the embers of a fire," Herman said. "I haven't tried it myself, but I imagine they got pretty crisp on the outside." Herman said the number of vole bones the team discovered suggests that the rodents were not a primary source of food for the inhabitants of Skara Brae. Still, it seems pretty clear that people were eating them, at least occasionally. "It could be that people ate them as a snack, or it was something they fell back on or harder times," he said. "Or maybe kids were catching them and then roasting them. It's hard to tell." The people of Skara Brae were farmers who raised cattle and sheep. Herman said most of their food probably came from these sources as well as from crops and shellfish. He adds that there is no evidence of the people eating mice. "Voles are a little bigger then mice, but I don't know why they focused on them," he said. "Maybe they taste better." The authors hope that future studies will examine the relationship between humans and rodents at other Neolithic sites in Europe. "This is the first example of ancient people eating rodents in Europe," Herman said. "But that may be because we haven't looked hard enough previously." Wild dormouse seems still to be eaten in Slovenia where hunting and eating them is a tradition. And I'm sure they were served with a wild rocket salad and balsamic vinegar. No, they were served with asafoetida (a fetid-smelling resin) and garum (delicious fermented fish intestine juice). With Romans it's hard to tell who was braver: the chef or the client of the restaurant. A squirrel is a rat with a fuzzy tail. Does that make them better? Recent DNA analysis and the discovery of a common ancestor has supported the view that rabbits share a common lineage, and thus rabbits and rodents are now often referred to together as members of the superorder Glires. Rodents covers a lot of small mammal ground and common food animals in many places. On less positive notes - rodent consumption isn't something of just the past. Some Europeans ate rats for protein during and after WWII. The generalized comments of the article, don't encourage a lot of confidence in the author(s) research precision. On less positive notes - rodent consumption isn't something of just the past. Some Europeans ate rats for protein during and after WWII. Anyone in Asia in the late 60's - early 70's? Fleas leave rats when they are killed. They don't wait until it's dumped in boiling water.